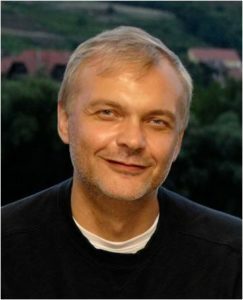 Congratulations are in order for NIMBioS’ own Sergey Gavrilets who has been elected as a member of the American Academy of Arts & Sciences. He is one of 228 national and international scholars, artists, philanthropists, and business leaders in the class of 2017 of the prestigious organization, which, since its founding in 1780, has been one of this country’s oldest learned societies and independent policy research centers. Gavrilets and the other new members will be formally inducted at a ceremony to be held next October in Cambridge, Massachusetts. Members of the new class include winners of the Pulitzer Prize, MacArthur “genius award” recipients, Presidential Medal of Freedom and National Medal of Arts recipients, and winners of the Academy, Grammy, Emmy, and Tony Awards. Gavrilets, distinguished professor in UT’s Department of Ecology and Evolutionary Biology and the Department of Mathematics, follows in the footsteps of historical greats such as Benjamin Franklin, Ralph Waldo Emerson, Margaret Mead, and Nelson Mandela, who were all notable members of the academy. Gavrilets’ research focuses on population genetics, adaptation, speciation, coevolution, diversification, phenotypic plasticity, and sexual conflict. Gavrilets has researched human origins, human uniqueness, human social and cultural evolution, within- and between-group conflict, and cooperation.